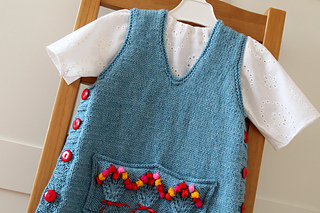 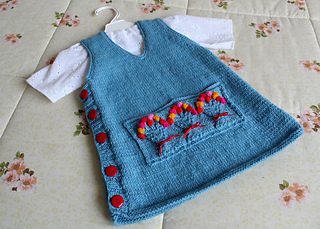 Mimi jumper dress is worked flat in two pieces, front and back, shoulders are joined using 3 needles bind off or can be sewn too if you wish. 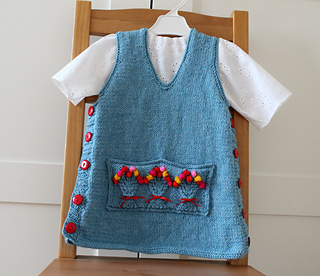 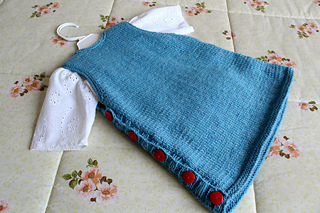 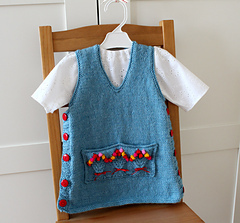 Sides of jumper has buttoned closure with ribbing bands. 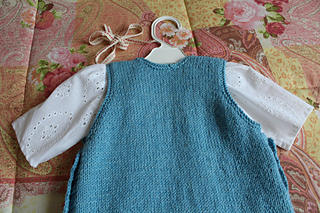 Neckline and underarms are finishing with garter stitch. 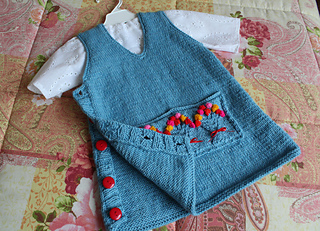 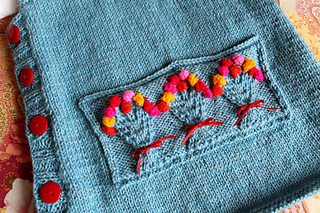 A cute decorated pocket with colorful bouquet flowers design are in center front of jumper, adding a beautiful touch to this baby girl jumper dress. 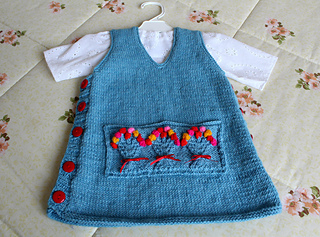 25sts and 32 rows in stocking st, using US 4/3.5mm needles = 4”/10cm.